This weekend I’ve been in writers’ meetings with David Simon, Eric Overmyer and George Pelecanos. Let me tell you, the joy of my life is being in a room with those guys constructing stories. “Treme” will have lots of New Orleans music in it, so occasionally, in meetings, Simon will crank up his laptop and blast a tune. 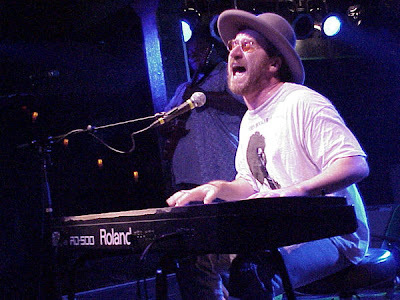 Today it was a song by Jon Cleary, a British pianist who’s now a New Orleans fixture. “This is so funky,” Simon said. Click here to hear “More Hipper,” a track from 2002. Turns out “More Hipper” is available as a FREE MP3. Just click the title below if you want to download. Just read the wiki and was delighted to read that Melissa Leo has been cast in Treme. She is a fabulous actess and it will be great to see her regularly on TV again. Also caught the trailer at HBO.com. It is beautiful and spot on New Orleans.